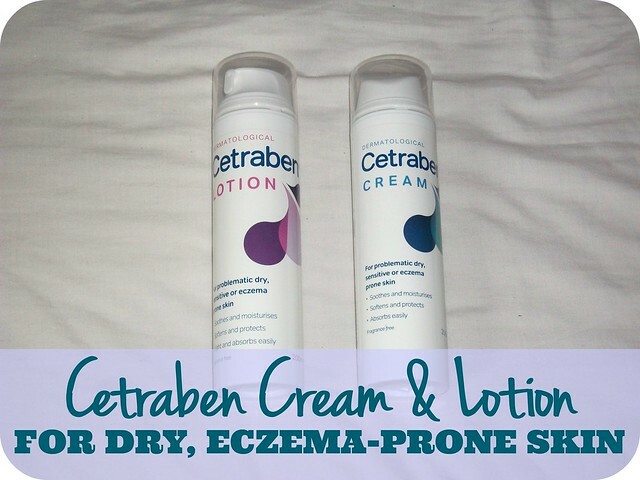 I was recently offered the opportunity to try out some products from Cetraben; designed with problematic dry, sensitive and eczema-prone skin in mind, Cetraben Cream* and Lotion* aim to sooth and moisturise, soften and protect, and absorb easily into the skin. I was kindly sent a 200ml bottle of each product and have been dutifully using them for the last month or so. 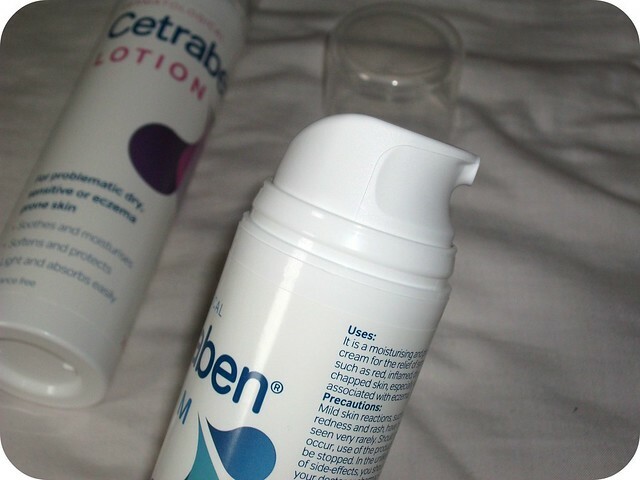 Cetraben was a brand I was familiar with from work but hadn't previously used myself; I was intrigued to see how the products would fare for me, mainly on my very dry legs. A bit of background; I've had eczema since I was tiny and although it's much better controlled since switching to SLS-free products, I do still suffer from very tight, dry, itchy skin, especially on my calves. 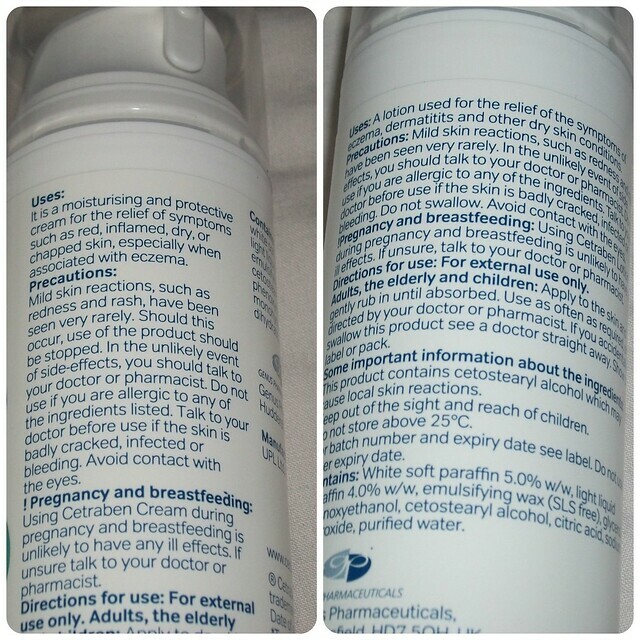 Both Cream and Lotion are housed in white plastic bottles which are each fitted with a pump for easy product dispensation; the clear plastic snap-on cap means the products should be safe to travel with which is handy. I've found that three pumps of either cream or lotion is sufficient to do one leg, and one pump does both arms; I tend to use more product on my legs as I know that's where I get the most dryness. Both products are fragrance free and have a very light skincare scent which is barely noticeable and certainly doesn't linger once applied to the skin. But is the cream or the lotion better...?! I've been carrying out a very scientific method of comparing the two, whereby I've been using the cream on my left leg and the lotion on my right, to see whether I could notice any differences between them. In terms of application, they were much the same, both absorbing into my skin quite readily. Hydration-wise, both worked well initially, but I did notice that the benefits lasted a lot longer with the cream than the lotion; after applying in the morning, the skin on my right leg was feeling tight and super-itchy by bedtime, whereas my left leg was only slightly tight and not itching. The cream, therefore, would be my pick in future, although I do think if your skin is only slightly on the dry side (or you're happy to apply more than once per day! ), the lotion is also a great choice. Cetraben have also produced a range of helpful and informative videos, in collaboration with Dr Pixie McKenna of Embarrassing Bodies, to give you some tips and advice on dealing with problematic skin, which I'd really recommend giving a watch if you're struggling with your skin! 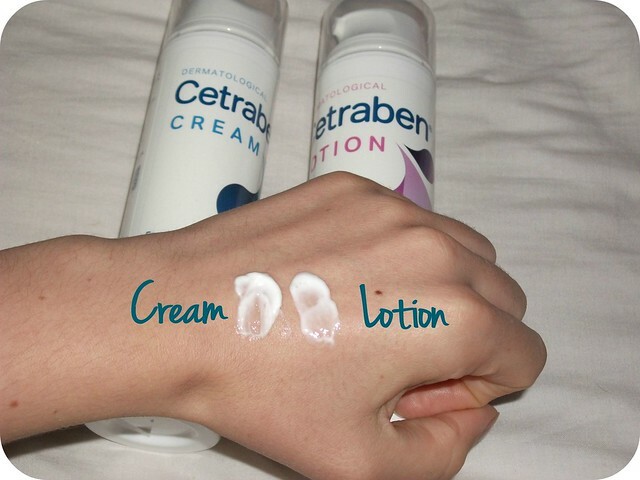 Have you tried Cetraben's products before? Have you ever suffered with eczema? What are your favourite bodycare products? This review is great. I need to try the cream for my eczema to see whether it works for me too! This is such a great post! When I was younger I used to suffer with mild eczema which was linked to my hayfever etc. I grew out of it which seemed like years and years, however, I have been getting little eczema spells over the last few months on certain areas of my arms. I will definitely be looking into these. The video is also very helpful! September | I Have Plans For You!